Yesterday I reached a milestone of having run 10,000 miles since I started running back in 2008. Before than I had run the odd 10k and the local Half Marathon but my main sporting passion was playing Saturday and Sunday League Football which I had been doing since I was about 10 years old. Running was something I had taken up fairly recently and was primarily designed to keep up some level of fitness during the Football off-season. Unfortunately in 2007 I suffered a nasty ankle break and I decided to stop playing football (although I played one final game just to prove I could) for a number of reasons but the injury was the primary driver. At the time of the injury in April 2007 I was given an 18 month – 2 years recovery prognosis but my immediate aim was to run the next Reading Half Marathon in March 2008. I spent a couple of months in a cast and on crutches and didn’t run at all or do any sport for the rest of 2007 and I put on a bit of weight due to my continued cake eating habit and a lack of any sporting activity. At the start of 2008 I did my first run, I was going to be attempting the Half Marathon from a position of no base fitness. I started to log my runs on a spreadsheet which tells me I ran a huge total of 32 miles in Jan 2008. That was my training for the event as I was either overdoing it or tapering as I only ran 15 miles in February and then ran the Reading Half in the 1st week of March but managed to get round in shade under 2 hrs (1.59mins). I knew I still had some way to get back to my previous levels of fitness and I carried on running a couple of times a week during the summer and that was when I started thinking about the Thames Path Ultra an event which took place in January and involved a 50 mile run from Reading (a stones throw from my place of work) to London. I had heard of Marathons but never run one (although the London Marathon always looked like a good event to take part in due to the TV coverage) but I had never really heard of anything longer and this seemed like an incredible challenge. I asked one of my buddies Paul Stout if he would consider training and running the event with me and he responded with an immediate and casual “Yeah, alright” without really understanding what it was all about and we started running more regularly, twice during the week and a 10 mile run most Sundays. My total mileage from Jan – May 2007 was 150 miles and now I was starting to average 120 miles a month for the rest of the year. This was a level of running that I had never done before which included my first ever Marathon (Abingdon 3.55) in the build up to the Thames Path Ultra which was the ultimate goal. January 2009 came about and we took part in the race. We ran the first 20 miles, ran/walked from 20-30 miles, walked from 30-40 miles and managed to stagger in the last 10 miles finishing near the back of the pack feeling sore and with blistered feet in time of 11 hours. Hours after the leader but absolutely delighted to have achieved the goal of finishing the distance. This was the start of my Ultra Marathon running career. So what do you do after your first Ultra Marathon? Enter another one 3 weeks later and so we entered the inaugural Thames Trot. This was a mistake, Stouty and I hadn’t recovered, our feet hadn’t recovered and we were in no shape to tackle the event but we tried. Unfortunately Stouty dropped early on through injury and the event turned out to be a long walk in snowy and icy conditions although I just about managed to finish in 12 hours, my only experience at the end was relief. From that point, my mileage dropped off to 70 miles per month for the rest of the year. 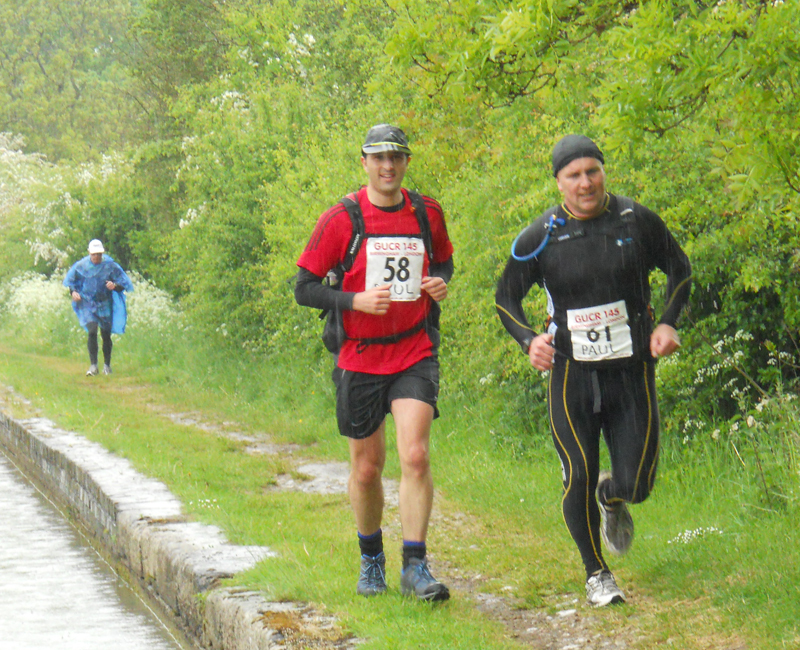 However, something was going to ignite my passion further and that was entry into the Grand Union Canal Race in 2010, a non stop 145 mile run from Birmingham to London to be completed in 45 hours. It sounded like complete madness and so Stouty and I entered, willfully ignorant to the level of effort or physical stress this type of event can do to you. We recognised our current level of running was inadequate and doubled the mileage to 140 miles per month in the few months prior to this event. I recall standing on the start line of the GUCR looking around at a bunch of grizzled veterans thinking I am way out of my depth here. Our aim here was solely to finish which we managed to do in a pretty unconvincing time of 43-44 hours but it was tough, really tough. Sleep deprivation, physical exhaustion and horribly blistered feet were the physical impacts. However, mentally having to keep going when you are in a good level of discomfort and pain or falling asleep was hard. In all honesty, we probably shouldn’t have tried to tackle an event of this length at that stage if our running “career”, it was a case of showing the guts and determination to march most of the event for the finish, running had been left behind hours and hours ago. One of my crew members Matt, shot a bit of video towards the end of the GUCR when the mood was low and asked whether I would ever do this again to which I replied “No, probably not”. So what did Stouty and I do? Well, we immediately registered our interest to partake in next year’s event! Whilst we were both delighted to have finished it, we knew we could do it quicker. After a couple of months of lower mileage we decided to start training early for next years GUCR attempt and pushed the mileage up to an average of 150 miles per month for the last few months of the year. We had also entered and taken part in the Druid Ultra our first XNRG event and this is where I first heard about the Fetcheveryone Website after chatting to a couple of other runners about training logs and stuff (Hello to Foot & Mouth and Lady Alton from Fetch). After the event, I went home and created a Fetch User Profile and loaded up my own spreadsheet which gave me a historic view of all my running and some tools to analyse this. Over time, I started to get to know a few members of the Ultra Running community on Fetch and started to encounter a few people at races and eventually became a member of the Fetch family. I was now running regularly and had lost some weight from when I first started running so was enjoying the benefits of regular running whilst still maintaining my cake habit. 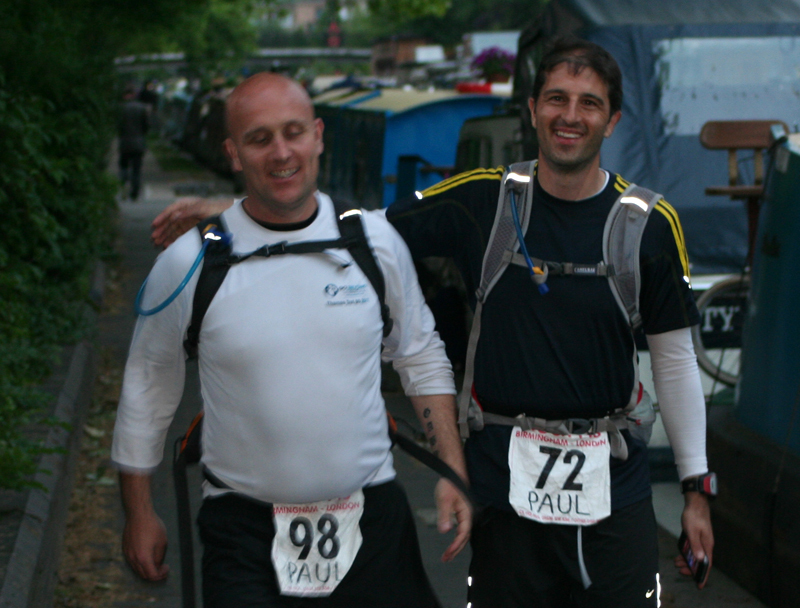 The 2011 GUCR came about and I started completing 200 mile months as we worked towards achieving a sub 40 hour target which we did taking 5 hours off our previous time but still thinking there’s more to give here. 2011, saw me cover 2,426 miles my biggest ever to date and at the start of 2012 I embarked on a challenge of running 3,000 miles in a single year and a concerted effort to tackle some 100 mile events, a distance I’ve never actually completed before. Running 3,000 was a big commitment as it involved running most days. There were a few times when I was behind schedule but I was able to turn out regular mileage each week to achieve this goal although a hell of a lot of this would be termed “junk miles”. This target probably defined my year more than the races, this was “the target” in the back of my mind and it was pleasing to achieve this goal finally on the 30th December.. nothing like cutting it close. Having achieved that goal I learnt a couple of things. On the positive side the constant plodding meant my body is now used to the stresses of running and my body recovers quicker between events. In 2009 I was a broken man trying to run 2 x 50 miles 3-4 weeks apart. 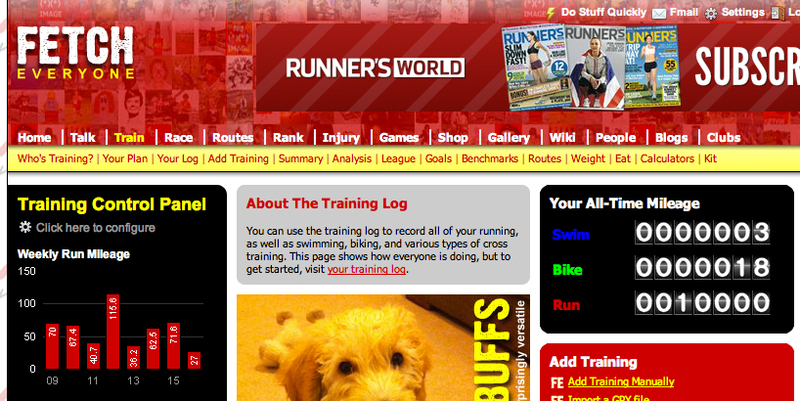 In 2012 I ran 2 x 100 milers within 5 weeks of each other. However, on the downside the constant churn for miles (“mileage munching” as I termed it) meant a greater chance of injury and also running with minor niggles and injuries which took longer to recover from. Plodding miles probably doesn’t do much for your speed either although my Ultra Marathon times have continued to improve this is solely down to the fact that I walk less in races than I did before. It was by chance recently that I saw my Fetch mileage total approach 10,000 miles as we are a third of the way into 2013. Despite a slump earlier in January when I was a little fed up of the months of bad weather and darkness (a touch of S.A.D perhaps?) I’m now in a reasonable (not ideal and more to give certainly) position of regular training and mileage and some big target races later this year. Yes, the GUCR is back for the third time with a desire to take a chunk of my last time but that’s not all with the Thames Path 100 (completed), Thames Ring and Spartathlon forming my own Grand Slam of events this year. Yesterday I completed my 10,000th mile. It was an ordinary run home but I did give a little push on that last mile in acknowledgement of that landmark. The first 10,000 miles has been a challenging but enjoyable journey which has brought about many experiences. Despite now achieving “veteran” status (in age), its great that I’m looking forward to new challenges, goals or experiences and age really isn’t any sort of barrier as it really is about your own personal achievements. Finally, a requirement to get a new photograph for work purposes has really illustrated the healthy benefits of running. 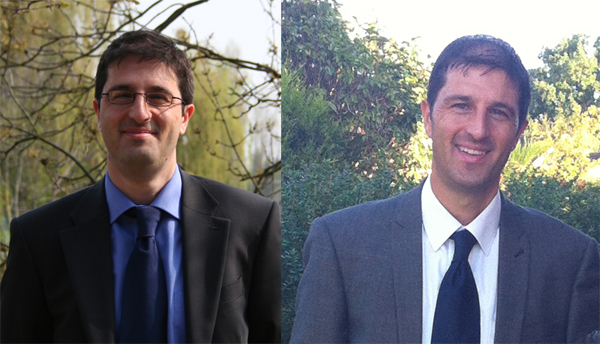 Here’s a photograph taken after my period of inactivity (2008) and after a few years of running (2012) photograph, which quite surprised me. I guess you don’t really realise these changes yourself over time but the loss of weight is noticeable and I didn’t ever consider myself chubby at any stage of my life. In addition I hope the number of hours I’ve put into running pays me back tenfold in terms of increased life expectancy! So “Cheers” and here’s to the next 10,000 miles. Thanks for reading my ramblings.